(VEN) - Kieu Ky Commune in Hanoi’s Gia Lam District is renowned for its wood painting and decoration craft, including gold lamination. The craft that at times sank into oblivion is being preserved and developed by various artisans, notably Le Ba Chung, who has devoted 37 years of his life to this artistry. Chung is the third generation of his family to engage in wood painting and decoration. Speaking to us at his workshop in Kieu Ky, Chung describes the attachment he formed to the craft when he was young and his decision to devote himself to this activity to make a living after leaving the army in 1981. He initially encountered many difficulties because the 300-year-old craft had virtually disappeared by the mid-1980s, with only three or four households engaged in wood painting and decoration, while most other households shifted to making leather and imitation leather products. 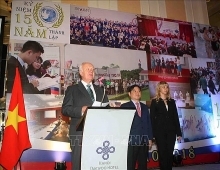 Chung said he travelled throughout many lacquering and carpentry villages in Nam Dinh Province and the city of Hai Phong to find outlets for Kieu Ky products. Five years later, production in Kieu Ky began to revive due to the growing numbers of buyers, prompting more and more villagers to ask Chung to teach them how to paint and decorate wooden products, he said. The number of households creating traditional wood painting and decorations in Kieu Ky has increased to 60. 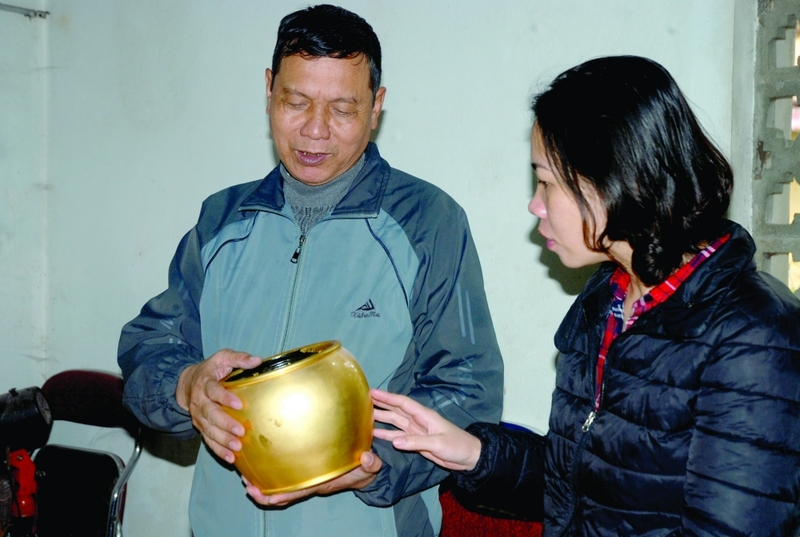 Some households send their workers to other northern provinces, such as Bac Ninh, Bac Giang, and Hai Duong, and even central and southern localities, to do gold lamination and lacquering, Chung said. Artisan Chung has become famous nationwide. 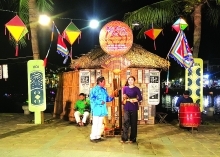 For his important contributions to the preservation and promotion of the traditional craft of wood painting and decoration, Chung was honored with the title Hanoi Artisan by the Hanoi People’s Committee in 2004, the Meritorious Artisan title by the President in 2016, and the Capital’s Elite Citizen title in 2017. Simple, honest and devoted to his craft, Chung believes the key is to do the work with all your heart while ensuring customer trust. Many young people are following in his footsteps in Kieu Ky and Chung said he hopes they will contribute to a brighter future for the traditional craft. Artisan Le Ba Chung’s research has resulted in lower prices of laminated gold and the reduction of the number of gold lamination steps from 40 to 20.